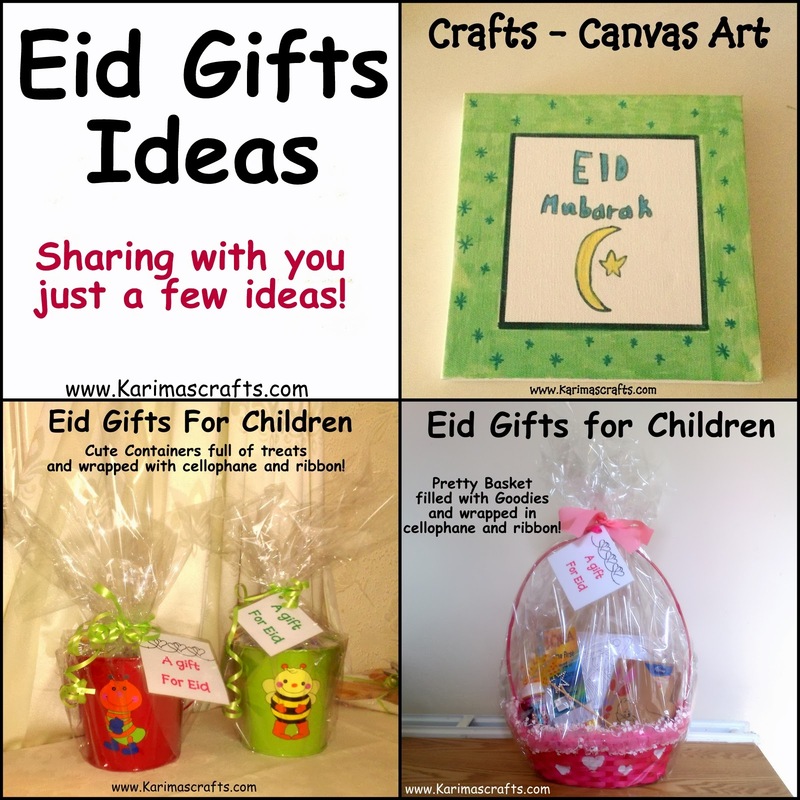 Every year our family like to make Eid gifts for our friends and family. 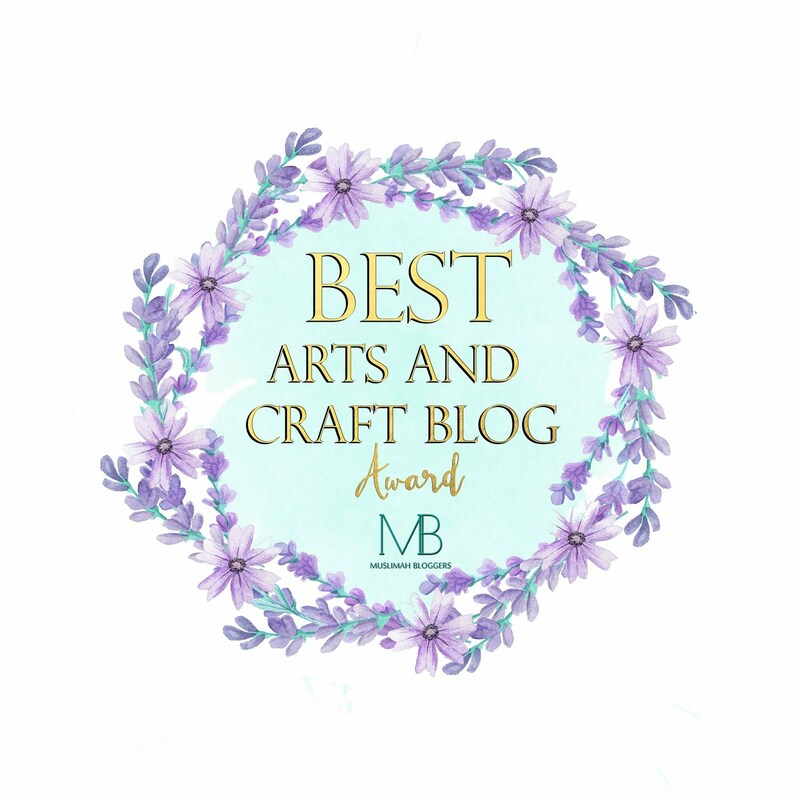 I have posted a few photographs on this post of gifts we have given in previous years to give you some inspiration for gifts you would like to give. You could also use some of the previous posts ideas for gifts, for example bookmarks, key rings etc. The 2 photographs below show the plates of cakes that I have previously given to my friends for Eid. I place a mixture of cakes/cookies onto a plate and cover them in cling film and tie a piece of ribbon around. I then add a small sticker saying 'Eid Mubarak' on it. You could bake some homemade cakes to give as gifts or you could buy some different store bought ones and present them nicely on a plate. The photograph below is an art canvas my eldest daughter made for a family friend last year. She still has it hanging up in her house! You can buy blank canvases quite cheaply if you shop around. 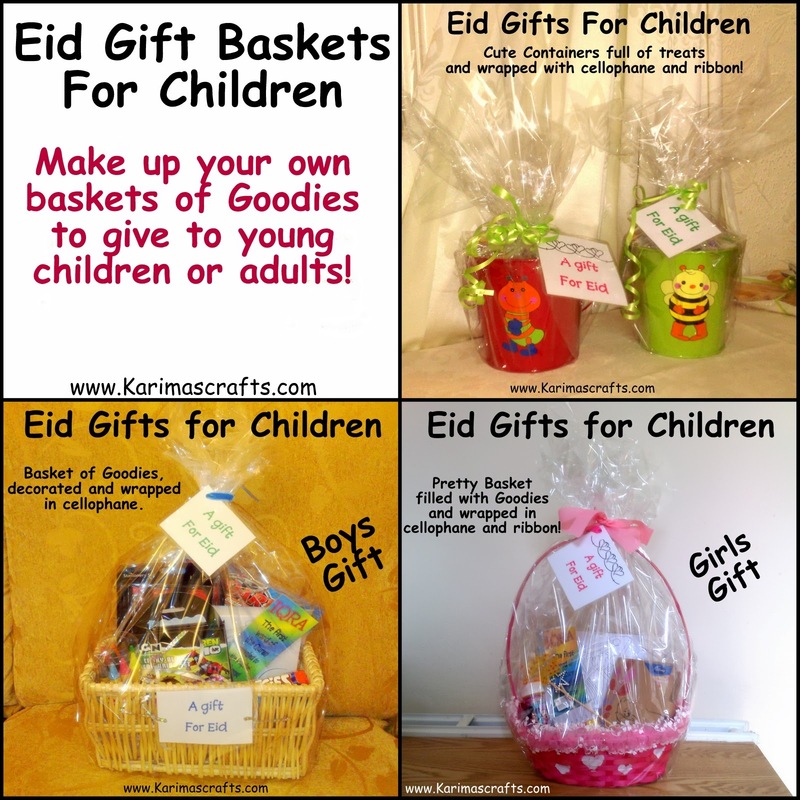 Below is a collage of photographs showing some Eid Baskets that I have previously put together for children - these don't need to be too expensive and you could do this without buying expensive baskets, just make your own from a decorated cardboard box! I actually collect baskets during the year from charity / thrift shops, car boot sales etc. at really cheap prices to use for giving gifts! The photograph below gives an example of a gift you can give to another Muslima for Eid. This is a gift I actually gave to a friend of mine. I found the lovely box in a charity / thrift store and just knew I could make use of it! I bought some toiletries and after adding coloured tissue paper in the bottom - this turned into a lovely gift hamper! 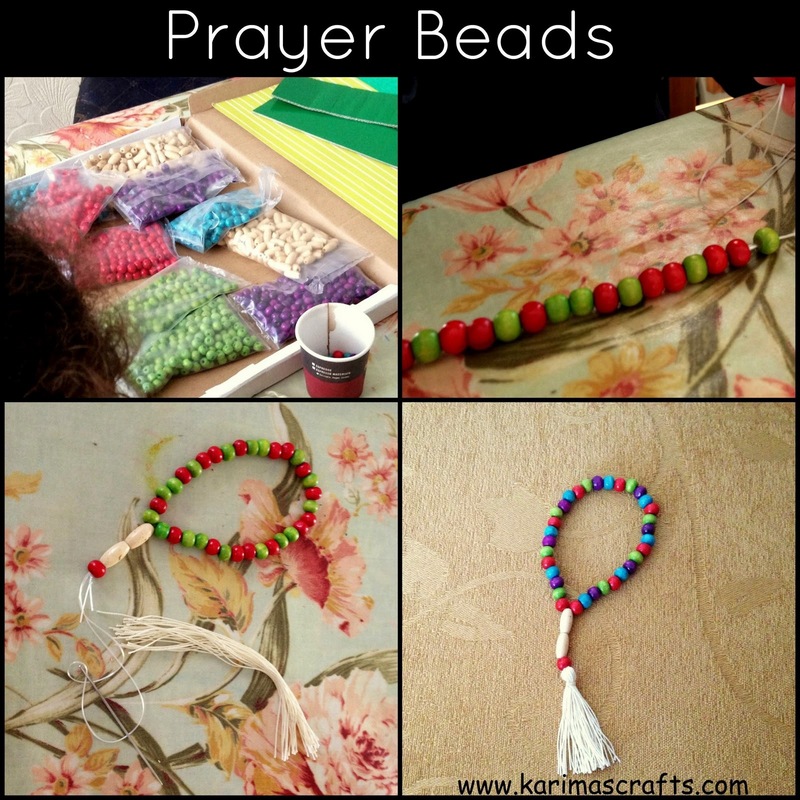 My eldest daughter made some prayer beads for her friends for Eid this year. She bought some beads and jewellery making parts online and made them all unique using different patterns. I hope some of these photographs have given you some inspiration as to what gifts you can give at Eid time. Even just a hand made card can be an ideal gift, people love it when someone has spent time designing something personal. 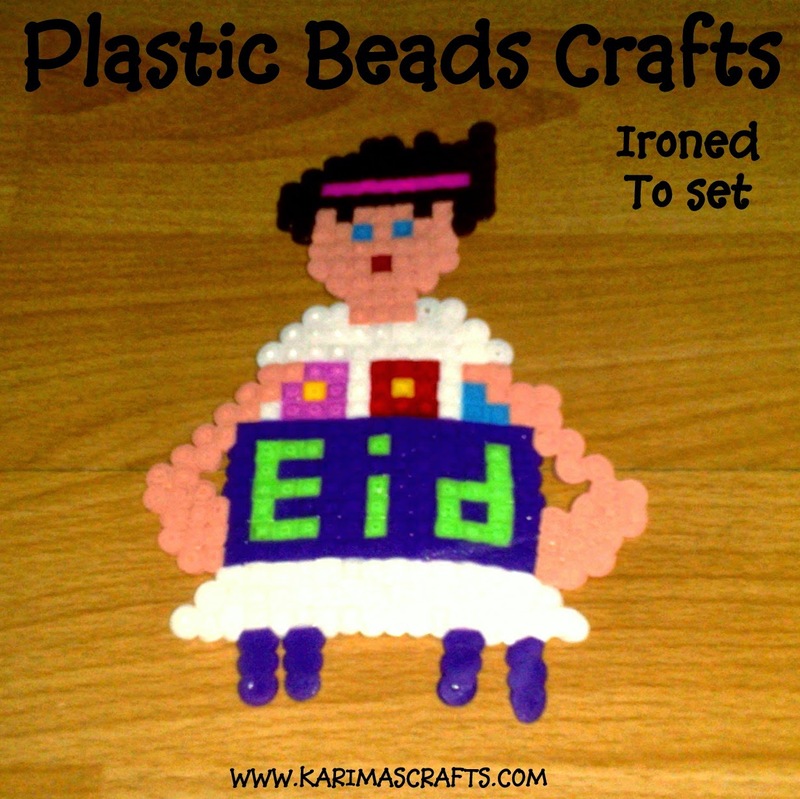 As mentioned at the beginning - don't forget some of the crafts I have previously posted about could also be used as gifts for Eid!. I'm really enjoying all your crafts! My favorite part is how many were designed by your children. I love seeing crafts for kids actually done by kids. Wonderful work!